This month’s meme from The Classics Club is all about Jane Austen. Do we love her? Hate her? What’s our favorite work, if any? I thought I’d start by sharing some delightful thoughts on Austen, from one of my favorite writers, Mark Twain. In 1895, Twain was sailing across the Indian Ocean. He wrote in his journal that he found Austen “thoroughly artificial” and praised the ship’s library for its lack of Austen novels. He claimed that this “one omission alone would make a fairly good library out of a library that hadn’t a book in it” -Twain, Following the Equator (1897). “Whenever I take up Pride and Prejudice or Sense and Sensibility, I feel like a barkeeper entering the Kingdom of Heaven. I mean, I feel as he would probably feel, would almost certainly feel. I am quite sure I know what his sensations would be — and his private comments. He would be certain to curl his lip, as those ultra-good Presbyterians went filing self-complacently along. …She makes me detest all her people, without reserve. Is that her intention? It is not believable. Then is it her purpose to make the reader detest her people up to the middle of the book and like them in the rest of the chapters? That could be. That would be high art. It would be worth while, too. Some day I will examine the other end of her books and see.” – from “Jane Austen” in Who Is Mark Twain by Mark Twain (2009). Well, it’s certainly fair for anyone to have his or her own opinion. And the great Charles Dickens happened to agree with him, although Dickens’s criticism was more misogynistic in nature (he didn’t think women had the capacity to be genuinely or adeptly humorous). So, who am I to disagree with these giants of American and British literature? Well, I’m a reader with my own equally valid opinions. And I say Jane Austen is a master novelist, perhaps one of the best who ever lived. She’s certainly up there with Zola, Lawrence, Hardy, and Dreiser, in my opinion. Are her books similar in theme? Sure. But they’re also vastly different. Mansfield Park cannot be confused with Sense and Sensibility. Marriage, family, and the middle class – they have a place in every Austen novel, because this is what Austen knew about. But it’s also this world and these people whom Austen dissects and often chastises, in many different ways. Marriage for love or for convenience? Property and station or happiness and companionship? These are questions one can expect to find in Austen. But did you also know that you’ll hear about human trafficking and the slave trade? What about sexual impropriety in the military, alcoholism, parasitism, and hypochondria? Yep, they’re all in there! These issues and so many more are explored through masterfully constructed works, delivered in sometimes biting parody and satire. Yes, it is safe to say that I love Austen. It took a while, though, and I can understand why, in our contemporary world, we might find her to be a bit dull on the surface. But when you take your time with her, when you look for the subtleties, such as her brilliant control of narrative time and her employment of multiple narrative types to craft a deeper, more complex prose, you might begin to see what all the fuss is about. My first attempt at reading Austen was early in college. I started (and failed to finish) Pride and Prejudice. I reacted in the typically dismissive male-centric way: “This is girly.” Later, in graduate school, I was fortunate enough to study Northanger Abbey and my appreciation for and interest in Austen was piqued. Could I have been wrong?? Shortly after finishing that semester, I revisited Pride and Prejudice on my own. And I finished it. And I thought, “Adam, you dolt!” I had been so utterly, completely, painfully naive and wrong. I re-read P&P again just a few months ago, and my appreciation for it grew. I also hosted Austen in August last year (and plan to do so again this summer), managing to read Sense and Sensibility, Lady Susan, The Watsons, and Sanditon. Just recently, I was able to finish Mansfield Park. A lot of these works might seem similar in many ways – style, themes, focus. But in reality, they’re quite different and, somehow, never disappointing. Do I have my favorites? Sure. Could I rank them in some kind of personal “best” to “worst” order? Yes, although that “worst” categorization would be basically meaningless, as there’s no such thing as a “bad” Austen novel. Ultimately, they all have value, they are all entertaining, and they are all complex, but in different ways. Some readers are going to respond better to the funnier, lighter novels, while others will respond to the craftsmanship and depth of the more serious works. As for me, my favorite is and will probably always be Northanger Abbey. 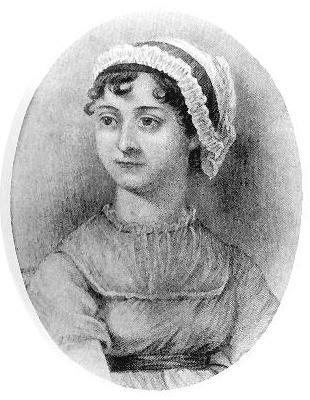 It was Austen’s first book, though the last to be published. It is raw, it is hilarious, and it has its flaws. But it made me double-check myself and my opinions. It made me fall in love with Austen. So, there it will sit, on its lofty pedestal, forever and ever. Persuasion and Emma are the two Austen books I have saved for this year’s Austen in August. I can’t wait to read them both, especially since finishing these two will mean I’ve read the complete published Austen, a milestone I’m eager to reach! Thank you for your wonderful analysis. I love reading your thoughts on literature. Wonderful thoughts! I can’t wait to hear your review of Persuasion this summer. I’ve been an Austen fan for so long and re-reading her books has only deepened my appreciation of her work. I actually completely agree with you about Mansfield Park. It’s not my personal favorite, but in my review I point out why I think it might be her most important work. Thanks for stopping by and for the wonderful comment! I’ve seen that quote before from Twain about “every time” he reads Austen etc, and I can’t help but wonder whether he was being cheeky. EVERY TIME? That means he keeps going back to her, even if on the surface he says he hates her work, something kept drawing him to her novels. If he really hated her work wouldn’t he have trashed it and moved on? I don’t know – I don’t know enough about his personal reading habits, but it’s just a thought. I was thinking the same! 🙂 I find Austen and Twain a little similar, actually — though I’ve hardly read any Twain to date. The bit I’ve read sounds like Austen, though, in humor. I loved Northanger Abbey too! I can’t believe Mark Twain would speak so forcefully over something he admittedly never finished reading. Dare I give him a taste of his own medicine? How like a man to speak so pompously about something he doesn’t know. Perhaps if he’d finished the book he’d learn a thing or two about his own pride! Great post, Adam. My favorites are Persuasion and Northanger Abbey…a fact which makes me giggle since they are so dissimilar in so many ways. Really though, the thing that makes me love Austen is how re-readable her books are. There’s just so much there. Simple, light, and humorous at first glance perhaps, but her writing quality and observations actually go quite deep. Another ‘Persuasion’ fan here as my first choice.. Excellent post! I had read that Twain was quite vocal about his dislike for Austen’s books but I didn’t know about Dickens’ misogynistic take on her work. Interesting. I can’t decide on a favorite Austen novel. That was a fantastic post. I personally love Austen and Dickens (I also enjoy Twain but not read as many). I think there is a subtlety to her humour. Pride and Prejudice seems to be the one that I re-read all the time although it wasn’t my favourite. Just ordered a copy of Sense and Sensibility so that I can give it another read. Emma was my least favourite. It was the first Austen I read and I remember disliking Emma herself. Didn’t put me off though. So glad I read your post. Northanger Abbey is the only one of the “big 6” I haven’t read. Now I know to save it for August. So glad to know that it’s a favorite. Thank you, Adam for this post. It has been quite similar to my own experience with Austen.